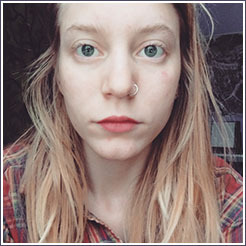 Kelly Zantingh is a visual artist and recent graduate of the University of Guelph’s Studio Art Program where she received the 2016 Faculty Award, and placed First in the UofG Juried Art Show. Kelly’s work reflects on ecology, growth and deterioration, and the human relationship with the environment. Working with plasticine and stop-motion animation film, she tracks the presence of the human hand, offering meditations on the passage of time. She now lives in British Columbia.